We've waited a while for Battlefield 1's first expansion to hit, and it's a mighty fine addition to what was already a fantastic game. Battlefield 1 was one of the best games of 2016, and certainly one of the best shooters I’ve ever played. It offered a refreshing break away from the futuristic obsession that currently saturates the market. Developer DICE took a risk in making this game, and to say it hit a home run would be an understatement: I genuinely believe this is the best Battlefield game ever made. To have made a game set during this era, spread across so many different landscapes and with impressive gameplay variety, is testament to DICE’s insistence that this was the Battlefield game that they always wanted to make. It plays like a game made with a sensitive affection for the era and conflict, drowning in its own modesty yet strangely confident in the tales it wants to tell. Whether it’s within the narrative-driven confines of the campaign, or in the ruthless battlefields of multiplayer, Battlefield 1 shines as a meticulously-crafted shooter, hellbent on not only communicating the horrors of the Great War, but also on offering one of this generation’s most memorable experiences. Before jumping into multiplayer for the very first time, I thought to myself that if it were to be as diverse and balanced as its campaign, it might be a Battlefield arena I could actually get into. To say I am/was terrible at Battlefield games would be an understatement, and while I am still bad in the competitive arena in this case, there’s a different vibe to the Battlefield 1 experience. Modes like Conquest remain the same as they have across the series’ many entries, pitting 64 players up against each other on massive maps across the Italian Alps, Middle East, Western Front, and other pivotal battle areas from the war. The campaign and multiplayer share a similar sense of chaos when out on the battlefield. This is a brutal game. It’s not like the all-out assault battles we know from Battlefield 4 and its predecessor. Battlefield 1’s combat feels real, like a true matter of life or death. Where this experience excels over its predecessors is that it feels less like a formality, and more like a true battle of tactics. The historical significance plays a part here, because the weapons are a fascinating blend of rough and refined. There are no long-range red-dot-sight scopes. No high-powered assault rifles. This makes a difference, because matches run at a slower pace, yet with a familiar, frantic sense of urgency that has defined the Battlefield experience for years. 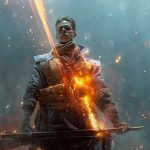 The introduction of Battlefield 1‘s first expansion pack, They Shall Not Pass, is a stunning reminder of just how superbly crafted a shooter this game is. I hadn’t touched Battlefield 1 for roughly four months, having obsessed over the likes of Overwatch and Mass Effect: Andromeda more recently. Throw in countless hours of nostalgic chaos in Modern Warfare Remastered, and it’s safe to say that DICE’s magical shooter was lost on me for a while there. 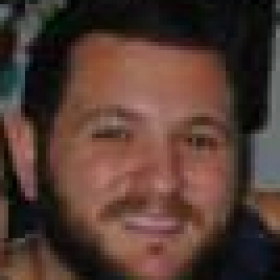 I’m now back, and I’m glad I returned. 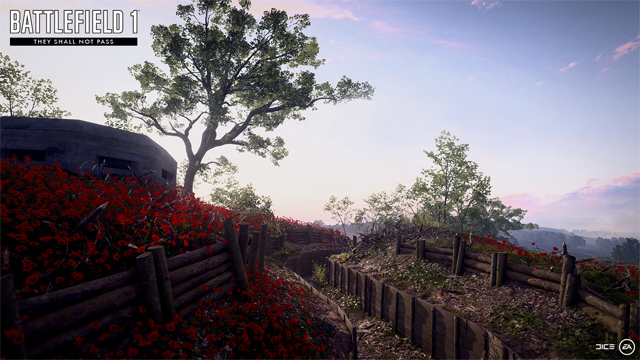 The expansion adds four new multiplayer maps, set across the Western front. The fiery hell that is Verdun Heights is a standout: a brutal all-out assault of constant artillery fire. 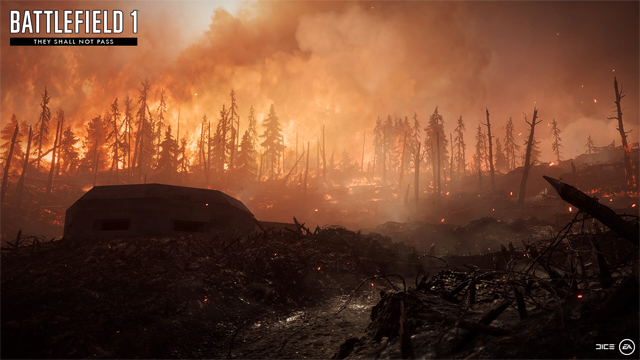 It is — aesthetically — Battlefield 1‘s most confronting map, an insight into the hellish, terrifying landscape that was the resting place of millions of German and allied troops. I struggled to play this map for two reasons. Firstly, I couldn’t help but constantly reflect upon the historical relevance of the setting. Death is used as an important aesthetic tinge on a battlefield that is — I believe — not supposed to be “fun” to play. Secondly, from a technical standpoint, the map has been designed to challenge Battlefield 1‘s otherwise methodical approach to squad directives: unless your entire team has control over the map, it is increasingly difficult to stay tied to your squad, and direct them efficiently towards realistically obtainable objectives. This map, I feel, is the Battlefield experience we should come to expect: a tough, frustrating grind through enemy fire, and a constant tussle for meters as you push through captured enemy territory. Verdun Heights is perhaps the most confronting Battlefield map I have ever played on. It’s fantastic. 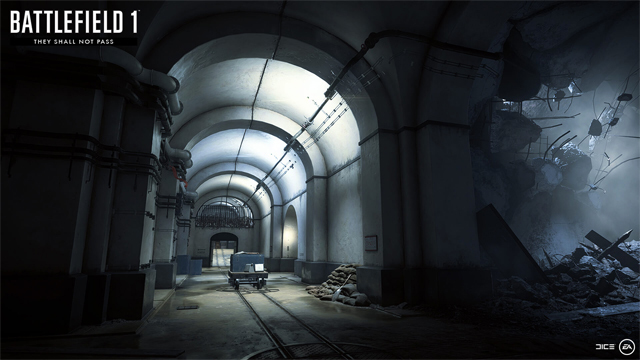 The other maps included in the expansion — Fort Vaux, Soissons, and Rupture — appear to take the best of every launch map to offer a blend of subtle tactical warfare, and tight trench battles. 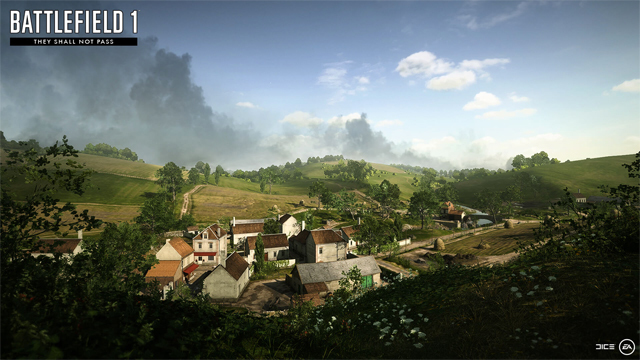 Soissons you can tell was made to suit large tank battles, making it easily one of the toughest — and more enjoyable — maps in the game. Fort Vaux is equally challenging, but in a very different way: its concrete interiors make it a haven for grenade and gas warfare, and lengthy hallway firefights — often with one team bottlenecked into a part of the map — take up much of a match. Frontlines is the new mode that comes with the expansion, and it’s not quite the homerun that Operations was when it was introduced to the franchise in the base game. It’s still a nice inclusion that can make for some intriguing battles. It essentially acts as a tug of war, with teams vying for a single flag, and, once captured, moving deeper into enemy territory and pushing them back to capture the next unlocked point. These matches tend to go for a long time, in some cases longer than the more lengthy Conquest outings, and in those cases the experience can turn into a bit of a back-and-forth tussle. In every match I played, one team seemed to get the advantage early, before the match evened out with no clear winner either way. Where I think it falls down next to Operations is that it never quite feels as grand: it acts as more of a hybrid of both Conquest and Rush, and as such services more of a Ground War-type offering than that of a mode than feels completely new. It’s worth checking out, however. Thankfully, fans of the Operations mode are well-served with two new additions: The Devil’s Anvil on Verdun Heights and Fort de Vaux, and Beyond the Marne on Rupture and Soissons. 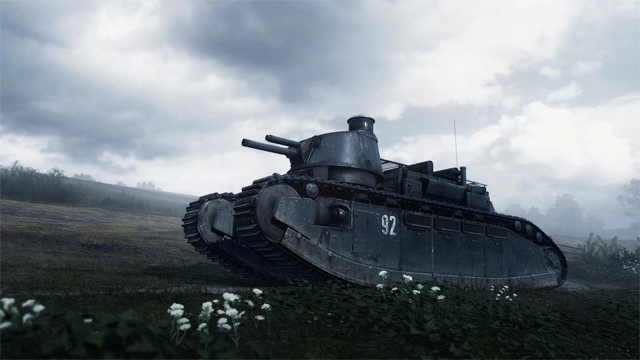 The former is heavy on ground combat, such is the nature of the map design, particularly in regard to Verdun Heights, while the latter offers vehicle-heavy tussles, perfect for testing out the new Char 2C Behemoth. As with the other Operations outings available, They Shall Now Pass‘ offerings are a superb blend of slick storytelling, well-paced action, and confronting battlefield realism. Operations were undoubtedly one of the best things of the base game at launch, and it’s fantastic that DICE has continued the tradition with more in this first expansion. The Char 2C Behemoth vehicle is worth the price admission alone: it is incredibly mobile and powerful with the right driver behind the wheel, and DICE has balanced it superbly by making it significantly more vulnerable than others in the class, but far more powerful and influential should it be balanced next to a strategically-timed push towards the enemy. It acts as more than just “another tank” being added to the mix, and in my experience is perhaps one of the most useful tools your team can have on the battlefield. We’ve waited a while for Battlefield 1‘s first expansion to hit, and it’s a mighty impressive addition to what was already a fantastic game. The Char 2C and superb Verdun Heights map both go to great lengths to change the way the game is played, with positive results. The other maps are well-designed in part, while the Frontlines mode is fun, if a little shallow. 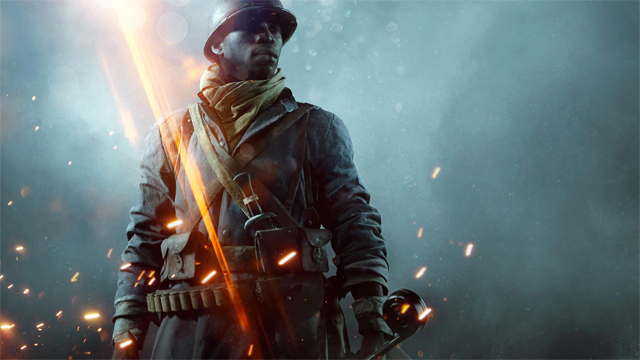 Overall, the value here is fantastic, with four maps, new weapons and vehicles, and two new Operations giving Battlefield 1 a refreshing boost back into relevance.